Tip of the Day: You have a Real Estate Contract! So what comes next? Whether you’re a home or land buyer – or a home or land seller – the date you get a Contract in place is Exciting! It signals the beginning of a process that involves many people working together to get you to your Closing Day. This can be a smooth few weeks for you – or it can be filled with “pot-holes”. There are important dates and times during this contract period that will need your action in order to continue moving you forward to closing. Items such as home inspections, repair negotiations, title company requirements, appraisal, survey, perc test, mortgage lender requirements, termite inspection, and more play a large part in determining if you will actually close on time. Depending on the items that need to be in place for your Contract before it can close, these items require a well thought out “timeline” in order to actually happen on time. We plan for and coordinate these items and helps you plan for, and calmly navigate this path. During this time, we stay informative and proactive, and do our very best to foresee and avoid any challenges that could create potential delays to your closing. 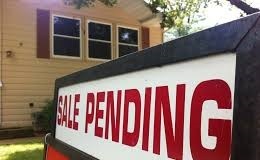 During this phase, we also keep our client, the title company, the other agent, and your mortgage lender informed. We also double-check that all items are in place prior to closing, remind our clients to have utilities transferred, address change made, schedule closing time, etc. Each transaction is unique and requires thoughtfulness, scheduling and a plan – whether you’re a seller, a cash buyer, or you’re getting a mortgage. We pledge to be there for you, to help get you through to your smoothest possible closing.